On April 7, 2018, the top performers of the Walk For A Cause campaign conducted by Larsen and Toubro Infotech, India for its employees, visited the village of Nimbhora in the Yavatmal district of Maharashtra. Walk For A Cause is a unique initiative that allows users of the Impact App to raise funds for a cause of their choice by the simple act of walking. For a fixed distance covered by walking, the app contributes a certain amount via corporate sponsors. The Walk For A Cause volunteers which included the top performers of Mumbai along with CSR representatives Aarti Ware from the Airoli branch and Rasika Gunjal from Powai branch, visited Nimbhora Village to assess the importance of tree plantation for the inhabitants of the villages and wildlife around Nimbhora. Volunteers also participated in a tree plantation drive along with the villagers and water the plants. These trees are nurtured and protected by local NGO and villagers’ participation. LTI employees engage with the rural communities at the Nimbhora site. 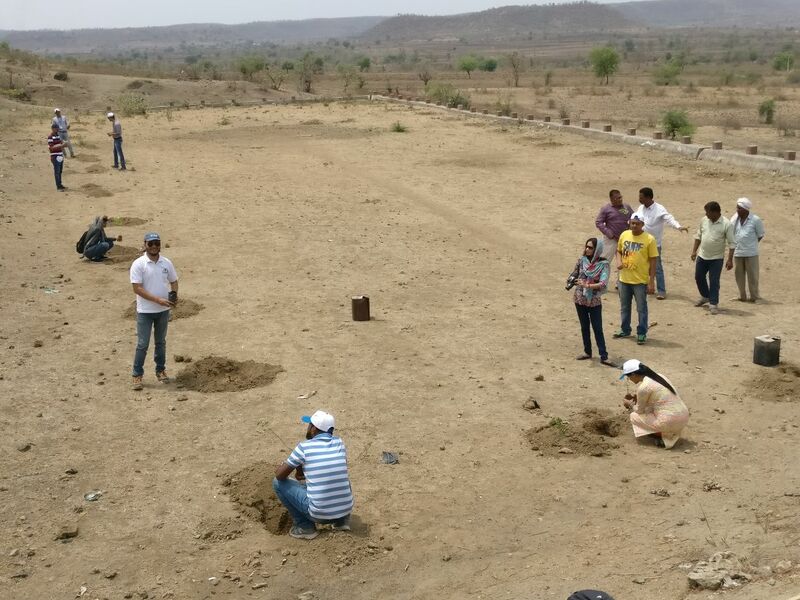 Larsen and Toubro Infotech sponsored the plantation of 11, 562 trees in Nimbhora, a region ravaged by drought. The harsh climate and dry spells have caused a mass migration of farmers and villagers to urban centres to earn a livelihood. 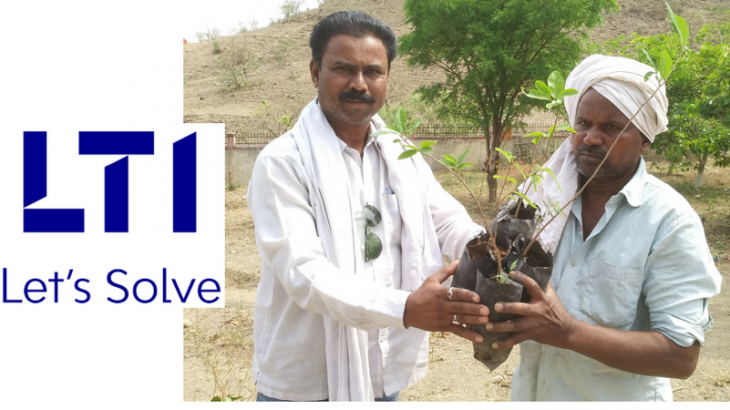 By raising funds via its employee engagement activity LTI has supported the plantation of 11, 562 trees in this region which will have a huge impact on the climate and landscape as well as rural employment levels. The LTI team was accompanied by Grow-Trees’ CEO Mr Bikrant Tiwary and Manager Supriya Patil along with the regional planting partners who informed the team about the long-term impact the project was going to create in Nimbhora and insights on the terrain, weather and understanding the socio-economic conditions of rural communities. The Nimbhora region is the ancestral home of the Kolam tribe. This project in Nimbhora is benefiting the tribals by providing them with employment opportunities in the nursery stage and during the planting and the harvesting activities. The forest serves as an additional source of sustenance for them. They will collect various fruits from the forest; use bamboo to construct their houses; gather firewood for cooking and to keep warm in winters; use grass as fodder, as well as for making brooms and mats; collect leaves for leaf plates (utensils) etc. moringa (drumsticks) is planted in abundance in this region due to its high nutritional value and commercial viability for the tribal communities. The trees supported by LTI will also offset carbon at the rate of 20kgs of carbon dioxide per tree per year once the trees reach maturity.